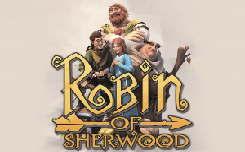 The company Microgaming in conjunction with the studio Rabcat, has released a new slot machine Robin of Sherwood with legendary heroes and adventure themes. 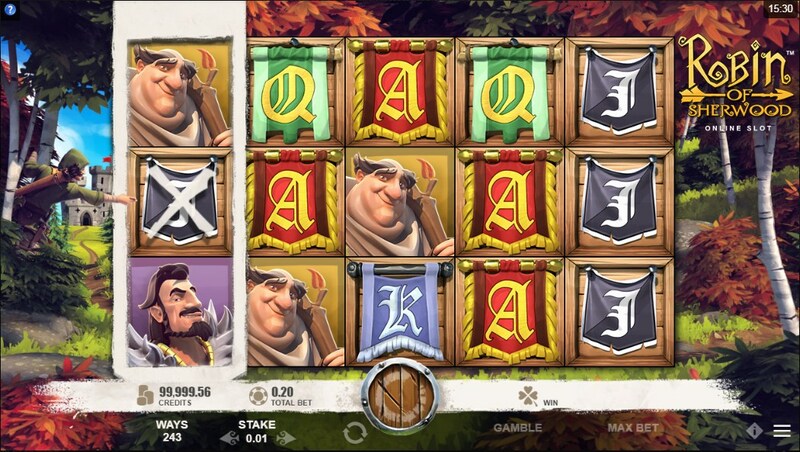 The design of the slot is bright and realistic, the action of the game unfolds in the legendary Sherwood forest, the drums are surrounded by colorful trees, and in the distance one can see the lock of the sheriff of Nottingham. In the Robin of Sherwood slot, five reels and 243 ways to generate winnings. On the playing drums you will meet familiar heroes from the famous legend: Robin Hood, Lady Marian, Sheriff, Little John and Monk – these images are symbols of high value, and also J, Q, K, A in the form of multi-colored flags that are symbols of low value. Wild (three arrows) falls on all reels and serves to replace simple images in the slot. Scatter (target) starts free spins. 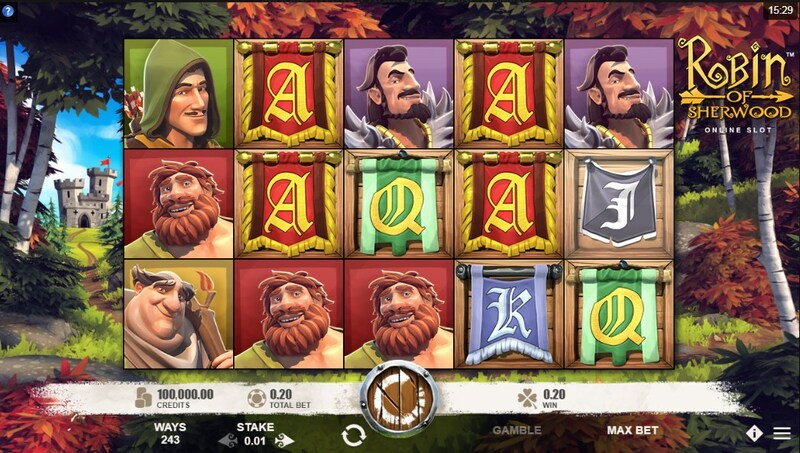 Wild Turning – activated in any normal back, as well as in free spins, Robin Hood appears and fires his bow into one of the reels, after which the low-value symbols turn into more expensive images or wild symbols. Free Spins – starts, after the drums drop at least three scatter symbols. 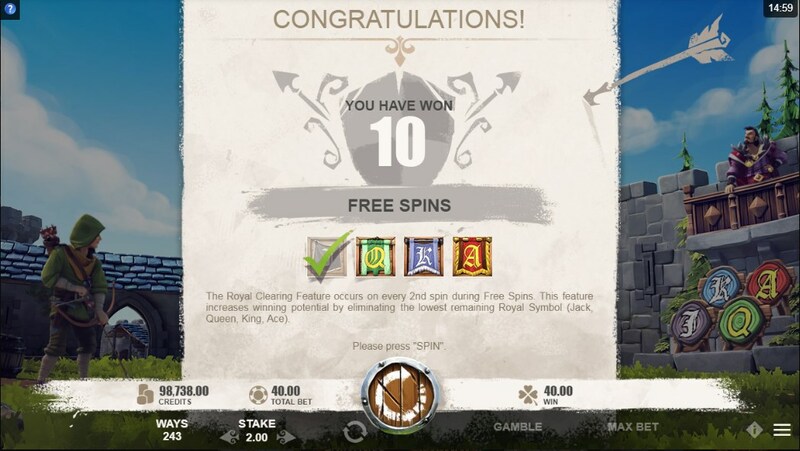 You will have 10 free spins, during which the Royal Clearing function operates. This means that after every second rotation, one letter will be removed from the playing field, first J, then Q, after K and A. In the last two rotations only high-paying symbols will participate, which will give you the opportunity to get a big win. In general, the Robin of Sherwood slot machine is another excellent development of two popular companies. Familiar history, bright design, spectacular animation, free spins with additional features will appeal to many players.